At some point in time, everyone will probably have to deal with a chipped, cracked, decayed, or missing tooth. These things just happen, but they don’t have to be a big deal for your smile thanks to the Advanced Dental Treatment Center team. Dr. Carini and Dr. Blanchard can help address these issues using custom-made, high-quality restorations that can rebuild your teeth both cosmetically and structurally, making it look like nothing ever happened to your smile. If you have a tooth or multiple teeth that need a little help, don’t wait – we can get them back to normal sooner than you think! To schedule an appointment, simply contact us today in Greenfield. Dental crowns and bridges are two of the most trusted treatments in all of dentistry, and with them, our team has been able to repair and restore literally thousands of teeth. A dental crown is a custom-made, tooth-shaped restoration that simply fits over the top of a damaged tooth. It can be used to fix chipped, cracked, or decayed teeth as well as enhance them cosmetically. It’s designed to fully encapsulate the tooth in order to protect it from further decay and wear as well. 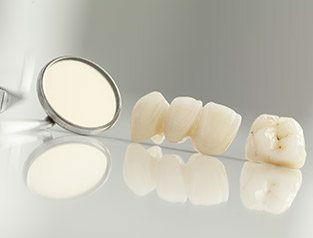 Crowns can be made from a variety of materials, but our practice prefers to use all-porcelain crowns because they are strong, durable, and can be shaded to match a patient’s natural tooth color. We can also use two crowns to form a bridge that replaces a missing tooth or row of teeth. Two crowns are placed on either side of the gap in the smile, and these are bonded to lifelike prosthetic teeth to close it. 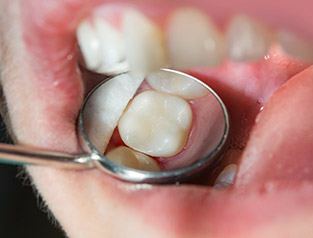 If you come to see us with a slightly damaged tooth or small cavity, we can quickly and easily repair it with a filling. Rather than using traditional amalgam, we’ll instead use composite resin. This material is extremely strong and malleable, and it can be perfectly color-matched to a tooth to make it practically invisible. Plus, it is also able to form a much stronger bond to enamel than amalgam, enabling our team to preserve more of your natural tooth when placing it. In the end, you get a tooth that both looks great and is built to last! Do you have multiple missing teeth? Dentures are still one of the most effective and affordable ways to fill in the gaps, and thanks to the latest advancements in dental prosthetics, modern-day dentures are now smaller, sleeker, and more comfortable than ever. Today, they are made of a realistic-looking, gum-colored base that’s attached to ceramic teeth that look completely natural. 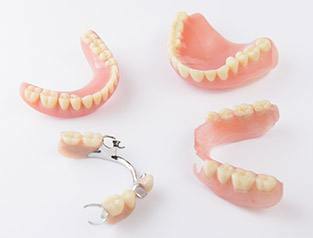 Partial dentures are designed to replace missing teeth while fitting in seamlessly with the remaining ones (like the missing piece of a puzzle), while full dentures can restore an entire arch of teeth. 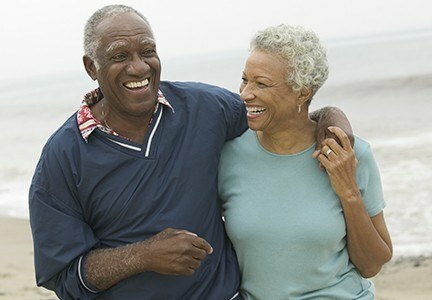 In the end, no matter what you need, we’ll make sure you get a denture that enables you to smile confidently and eat and speak with complete ease. Dental implants have quickly become the most comprehensive tooth replacement solution available today, able to deliver results that are more natural-looking and long-lasting than any other treatment. With them, our team will literally be able to rebuild your smile from the root up, giving you a prosthetic that has been shown to easily last for 30 years or more. Whether you are missing a single tooth, multiple teeth, or all of them, dental implants can help you get your complete smile back. 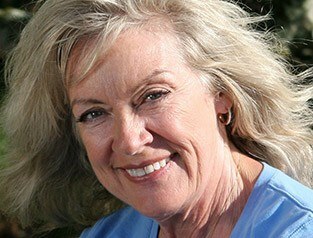 They offer the next best thing to nature, and you can get them right here at Advanced Dental Treatment Center.